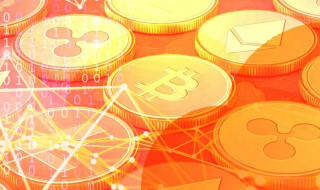 Using the blockchain to find and follow transactions is one of the top features of bitcoin. To help you navigate this maze, we have prepared this guide to the bitcoin blockchain. The bitcoin blockchain is an open, distributed ledger where all transactions are permanently registered for everyone to see and verify for themselves. A coin (and fractions thereof) is nothing more than a page from this ledger, with ownership being transferred from one owner to the next via a sequence of (cryptographic) signatures. We have explained the basic concepts behind the blockchain in another article, so this time we’ll roll up our sleeves and get our hands on the actual thing. To do that, we will make use of a handy little free tool called a block explorer. 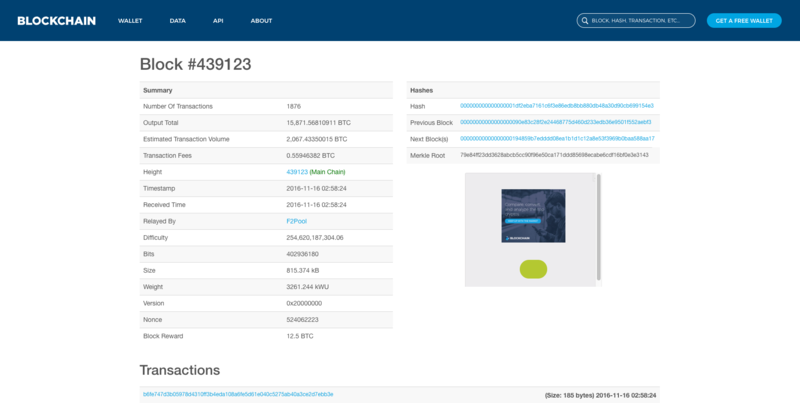 A block explorer is a web application that allows us to search and navigate the bitcoin blockchain in an easy, human-readable way. By using a block explorer, we can find past transactions, follow ongoing ones, and even trace the path of addresses any given coin has been through up until its last owner. Block explorers are not restricted to bitcoin: most altcoins (such as litecoin or bitcoin cash) have explorers built around their blockchains, and tokens (like Ethereum’s ERC-20 tokens) can usually be tracked at their parent blockchain’s explorer as well (such as Ethereum’s Etherscan). There are quite a few established bitcoin block explorers to choose from. Amongst the most popular ones, Blockexplorer and Blockchain.com are the most popular. 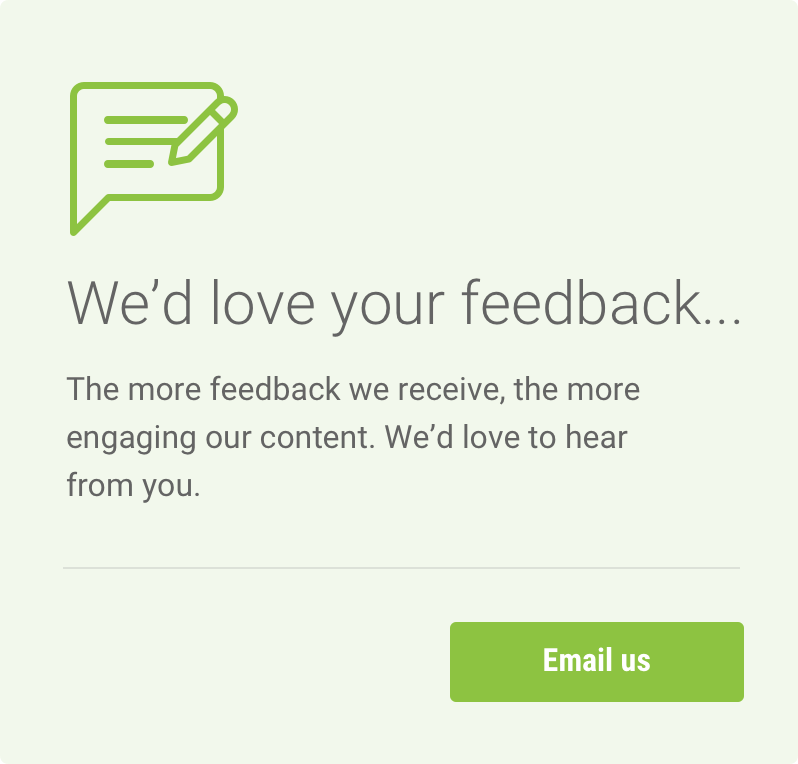 For this article, we’ll use the latter, as it is one of the most comprehensive and user-friendly interfaces around. Transactions in a blockchain are compartmented into units unsurprisingly dubbed blocks. Each block carries a verified transaction batch that is added to the chain by miners. 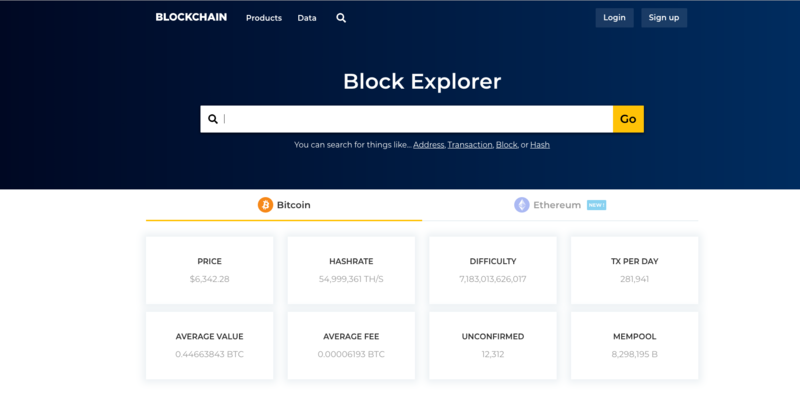 At the block explorer’s main page, we’ll see a search bar, which we can use to find any of the searchable data (which we’ll come to next). This includes block height, transaction number, bitcoin address, and hash. 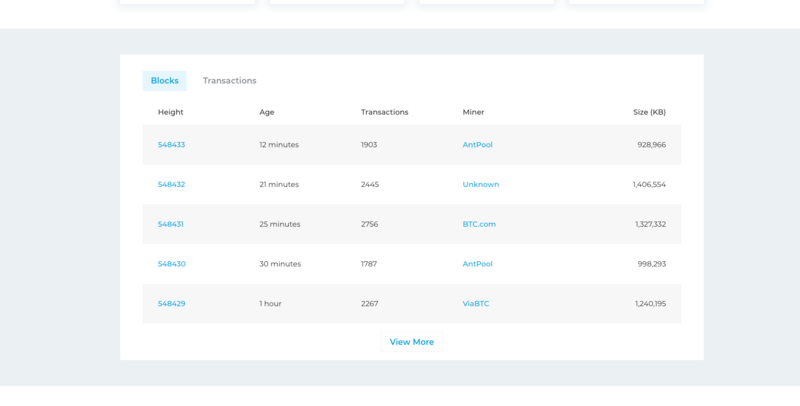 If we scroll down, we can see a list of the most recent blocks added to the chain, along with their age (how many minutes ago they were added), the number of transactions included in the block, the miner/mining pool responsible for adding it (if public), and the block size (how big is it in Kilobytes). In almost ten years, the bitcoin blockchain has grown to almost 550 thousand blocks. With a block time of 10 minutes (which means a new block is added every ten minutes), this means that an average of 144 new blocks are added every day. That adds up to 4380 per month, and 52560 per year. It may seem like a lot of blocks, but networks such as Ethereum, with a block time of around 10-20 seconds, have reached the millions mark years ago. Let’s start by looking into a block height, which will give us a general overview of all the other structures - say, block 439123, quite a mature block. Once we type the block number into the search box, we are taken to that block’s summary, with a list of fields and their values. Pretty self-explanatory, how many transactions were included in this particular block. The total output of transactions, including change that is returned to the sender. Since each bitcoin from a single address needs to be accounted for in a transaction, if we have one BTC in one address and would like to transfer 0.5 to Bob, our transaction would include the assigning of 0.5 BTC to Bob’s receiving address and the remaining 0.5 BTC back into a change address at our own wallet. This is the estimated amount of bitcoin that actually exchanged hands in this block. This value is different from the Output Total as it does NOT include change - so it more closely reflects how many bitcoin moved from one owner to another. The total amount in fees paid for miners’ work in this block. This block’s number. This is basically how far along the chain and away from the genesis block (#0) this one is. Each increment represents one block added to the chain. So this was the 439,123th block mined. Unsurprisingly, the time when this block was mined (in Blockchain.com, always displayed in UTC). The time this block was received by this particular block explorer. This value can differ between services, as network congestion and other factors may delay delivery to some recipients. The name of the miner or mining pool who won the Proof-of-Work challenge to add this block into the blockchain, if known. Most mining pools are big enough so as to be flagged, making it easy to check who mined a block. The mathematical measure of how much work miners are expected to expend to find the solution to the current block within the average block time, given the current network’s total hash rate. Difficulty is currently represented by a long, intimidating number. This gets complicated fast, so suffice to say that the bigger the number, the more computational power is required to find a timely solution. A compressed hexadecimal representation of the difficulty (in this case, Blockchain.com converts the value back to decimals for simplicity). Bits are calculated with this algorithm. How big the block is, as measured in Kilobytes. Bitcoin blocks have a maximum limit of 1 Megabyte (MB), which translates into around 1,000 KB. This block has 815.374 KB, meaning it still had room for almost 200 KB in transactions when it was added. This is a confusing one. Weight also refers to how big is the block, but it is slightly different as it uses WU (weight units) as a measure. Blocks have a maximum of 4,000,000 weight units, and each transaction carries a weight based on their size. You can check our this article if you’d like to get deeper into how weight is calculated. The nonce is the number miners have to find in the Proof-of-Work challenge. To do that, they must hash other block attributes (like transactions, previous block hash and merkle root) with a random number (nonce). The resulting hash must then be matched against the block’s difficulty, and if it satisfies this condition, then the block is solved and added to the blockchain, with the nonce being considered the solution, added so anyone can verify its validity. The amount of bitcoin generated every block, paid to the first miner to come up with a valid solution to the block. This is also known as “coinbase” transaction (not to be confused with the exchange). Block rewards started at 50 BTC per block, and are set by the bitcoin source to be halved approximately four years. After two halvings, block rewards are currently fixed at 12.5 BTC. This block’s hash, or roughly its cryptographic identity. A hash function is a mathematical algorithm that takes an input and returns a random, unique standard-length output. The slightest change in the input will result in a wildly different hash, and this guarantees that blocks can’t be tampered with. The previous block’s hash. Each block’s hash is computed from a hash of all its transactions plus the previous block’s hash, thus ensuring the chain’s integrity (as a change in one hash would require all following hashes to be computed in order to be valid). As this is a mature block, the next block’s hash is known and so the block explorer can conveniently link to it. Note that this field is empty for the latest block. Scrolling down from this summary, we now reach the bulk of the block: all the transactions processed in the past block time. Early blocks were kind of ghost towns, with very little action - most of the first blocks carried nothing but the coinbase transaction, simply because there was no one else to send it to. Today, however, that’s no longer the case. Blocks contain thousands of transactions, and in the busiest times, transactions can queue up for days waiting to be mined and raising fees exponentially (this was actually one of the main arguments for the bitcoin cash fork). Let’s take a look at how to navigate through transactions. As we can see from the screenshot, there are two columns that describe bitcoin’s path through the chain of ownership. The left column shows senders, while the right one shows the recipients. The first transaction on the list is always the coinbase transaction for that block. It’s easy to tell this kind of transaction from regular ones because these are the only ones that do not take an input. Coins are simply generated as block reward and assigned to that miner’s address. Let’s take a closer look at a regular transaction to understand what each element means. The first number on the to p left is that transaction’s number (also known as Tx #). It is derived from hashing its inputs and outputs together with a few more attributes. Next to it, to the right, we can see the fee paid, its size and the exact date and time for that particular transaction. If the amount we want to send is smaller than the amount contained in our address, we create two transactions: the first assigning the payment amount to the recipient’s address, and the second assigning the remaining BTC to one of our change addresses. This is automatically done by most wallet softwares. If the amount we want to send is bigger than the amount held by our address, then we need to combine it with another address controlled by our wallet into a single transaction. Most times the combined amount will not be the exact value, in which case we need to combine another address (if it’s not enough), or assign the exceeding value to a change address. Again, most wallets take care of this automatically. 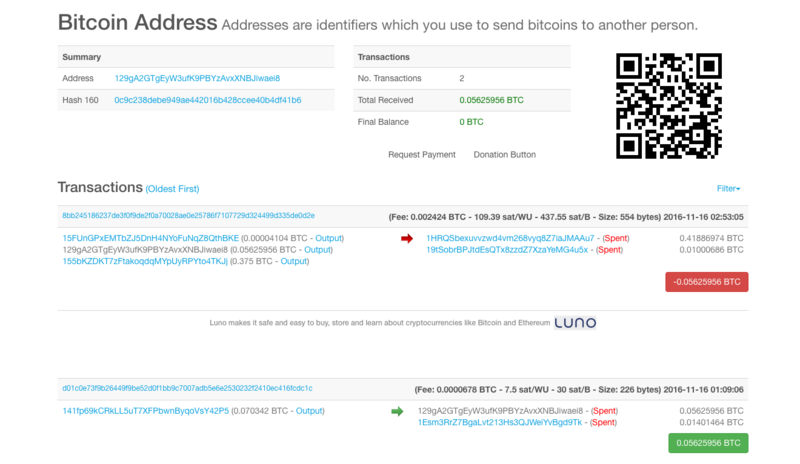 To the right we have the transaction outputs - the recipient, as well as any change being returned. It’s common for transactions to have multiple inputs and outputs. 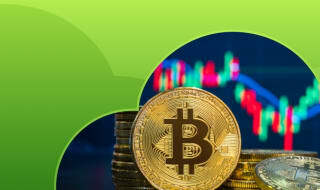 Cryptocurrency exchanges, for example, usually group hundreds of withdrawals into a single transaction with multiple outputs to save on fees and processing times. If the output for each address has been spent, Blockchain.com’s explorer will flag them as such. This means that that address no longer holds the bitcoin from this transaction. Finally, the green button-like field summarises the total value of the transaction. But we can get one step deeper, still. By clicking over the transaction number, we are taken to yet another page where we can see even more details. This indicates the earliest block a transaction may be added to the blockchain. Transactions may be added in much later blocks in busier times, especially if the attached fees are low, since miners often prioritise higher-paying ones. Each subsequent block adds one confirmation to transactions, making it exponentially harder for any attacker to tamper with previous blocks. The more confirmations, the more certainty can’t ever be tampered with. In practice, six confirmations are enough to make any realistic attack impossible, and even two confirmations make it extremely unlikely. 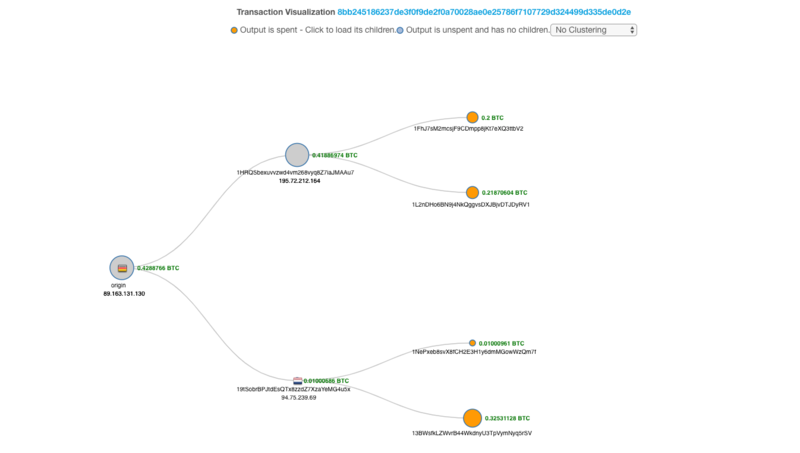 This neat little tool offered by Blockchain.com puts a face to a name and lets us view the sequence of transactions in a very intuitive, graphic fashion. From the original address, you can click the child nodes to follow the path a given bitcoin followed. Information such as country and IP for each address is displayed (if known). You can just keep clicking to find out the long way a bitcoin can go. If you have any, give it a try and see if you can trace your coins back to their origins. Of course, you can embark into that same journey by just clicking on each address and jumping from one to the next (or previous). Although not advised if privacy is important to you, a bitcoin address can be reused. This reduces the anonymity, as each transaction makes it more likely that the address can be triangulated. This might be desirable, such as in the case of exchanges and other businesses, but in most cases this may not be such a good idea, as it may draw unwarranted attention (such as hackers). By clicking at a particular address, we are served to all transactions ever performed by that bitcoin address. In this case, only two: one payment in, another one out. However, another address from that same input has taken part in a 96 transactions, which is not ideal when it comes to securing their identity. Finally, the final balance is displayed - which is zero BTC for both these examples. As you can see, there is a lot of information to be gathered from the blockchain. And block explorers only scratch the surface of blockchain analytics. More advanced tools like Goochain and Chainalysis also aggregate and cross data, and can deliver incredibly detailed information on cryptocurrency use, numbers and even the identity of users. As you can see, due to its transparent nature and the sheer richness of details, the blockchain can tell a lot more than people usually think. Staying anonymous requires a combination of tools and best practices so as to make detection harder - but not impossible. Given enough time and resources, a determined adversary will successfully go around the cryptography (as one has yet to break through it). With that in mind, we encourage you to get your hands dirty. Try the block explorer and some of the more advanced tools, test their limits - it’s fun, too, we promise. After getting familiar with how the blockchain actually works, you will be able to make informed decisions and be a step closer to mastering bitcoin. 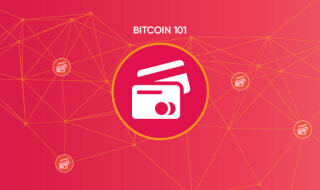 You can learn more about bitcoin in our Bitcoin 101 section. Check it out!